The manuscript is in 5 approximately even sections with one fifth of the total pages blank: 1st section -- 214 numbered receipts with an index. 2nd section -- 59 numbered receipts with an index. 3rd section -- 9 pages of English spelling & shorthand studies. 4th section -- 69 pages of unnumbered receipts; mainly sweets, wines, cordials and pickles. No index. 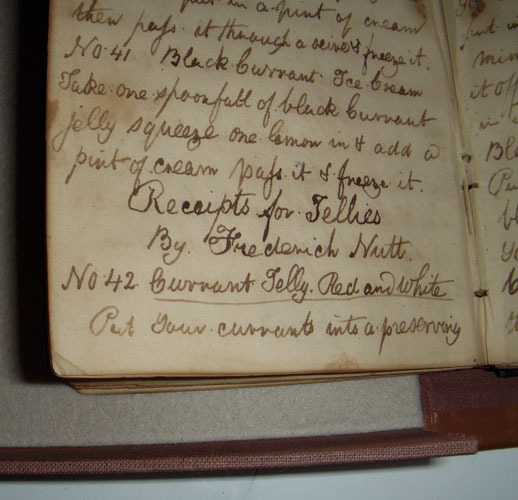 Frederick Nutt’s signature is on the very first page and in the 2nd section, above recipe # 42, for Currant Jelly. There is a date in the 4th section of June 10th 1826. 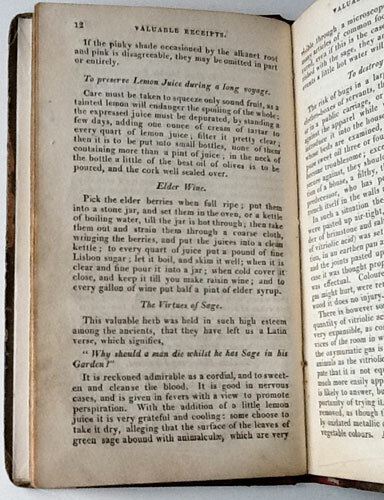 The first section is almost the same as the 1st printed edition of Nutt’s 'Complete Confectioner' of 1789; It is almost identical in recipe sequence, recipe content and index. 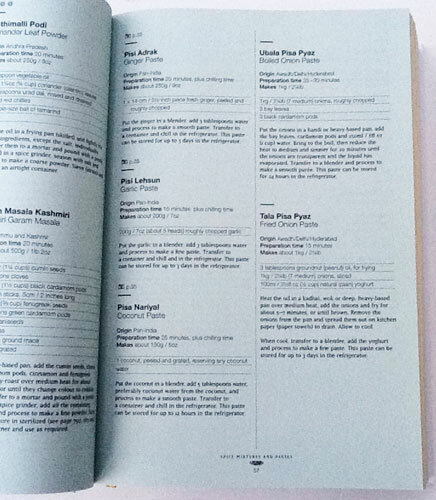 Out of 237 recipes in the 1st edition, there are only 44 recipes out of sequence in the manuscript. 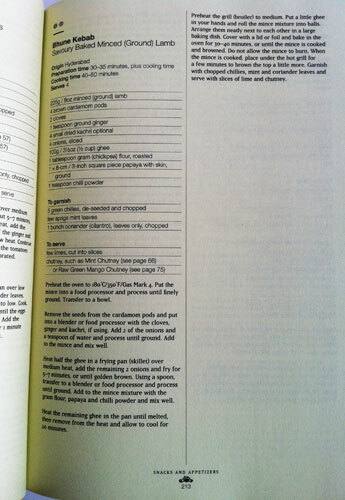 Most of the 44 recipes can be found in the 2nd section of the manuscript. 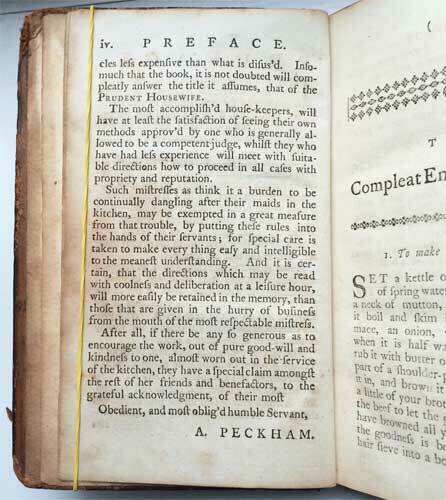 The 2 biggest anomalies in the 1st section index are - # 1 -- the block of 6 ‘Cordials’ starting with recipe # 182. They are not asked for in the index of ‘The Complete Confectioner’. Anomaly # 2 – in ‘The Complete Confectioner’ there are 7 recipes in the chapter ‘Fruits Preserved in Brandy’ (recipe # 180) -- that are not in the 1st section of the manuscript, but scattered in the 2nd section. 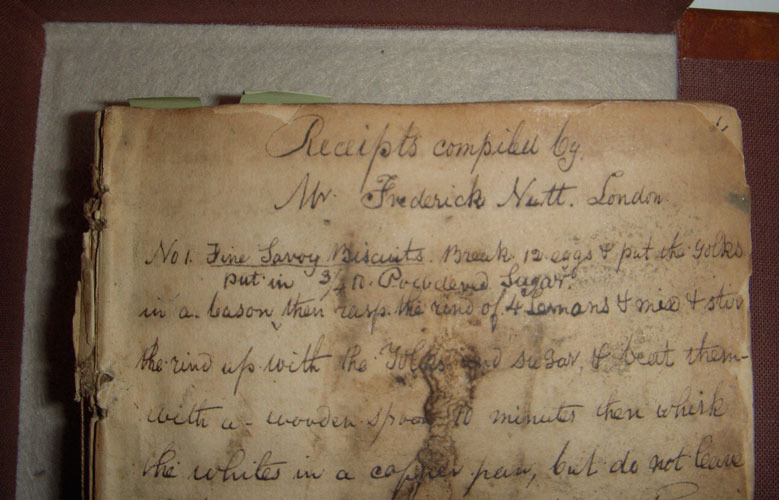 This is without doubt, Frederick Nutt’s own manuscript recipe book -- circa 1789, which he used to publish the 1st edition of his 'Complete Confectioner'. 16mo The manuscript measures 3 3/4" x 6 1/4". The book is dis-bound with back board present. The text block is tight. There are a couple of pages loose. All pages age browned. 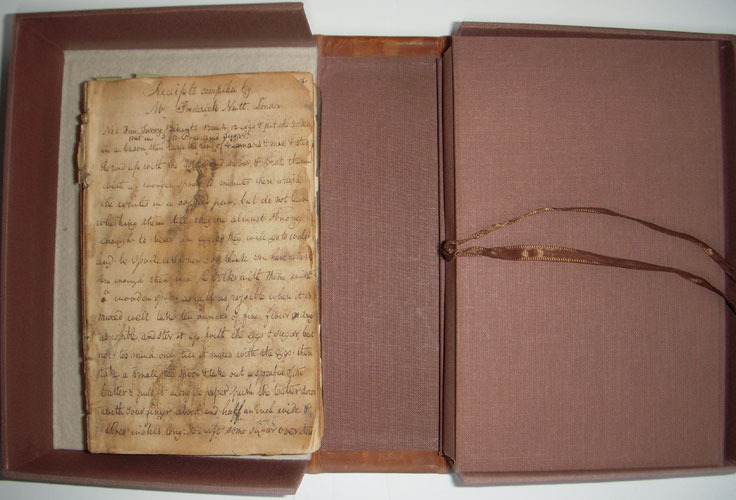 The text is small, neat, legible and in Nutt's handwriting throughout. Preserved in a brown cloth covered hand tied, folding sleeve. All held in a fine modern full tan calf clamshell box. Raised bands on spine with gilt lines and blind tooling in the compartments. 2 labels - one red, one green with gilt lettering. The boards edged with gilt lines. - Although Frederick Nutt did not add his name to his famous book, 'The Complete Confectioner', it is understood that it was out of respect for another famous confectioner, Domenico Negri, at the 'Pot and Pineapple' shop in Berkley Square, where Nutt had been formally apprenticed. 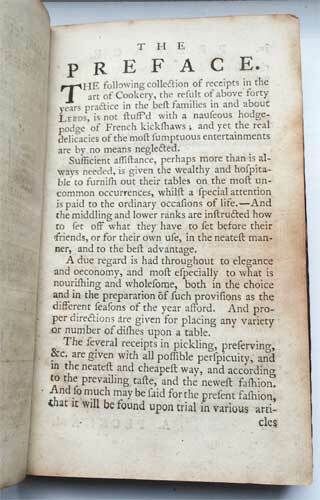 This probably means that many of the recipes contained in this manuscript and 'The Complete Confectioner' are from the 'Pot and Pineapple' as well as his later places of employment. 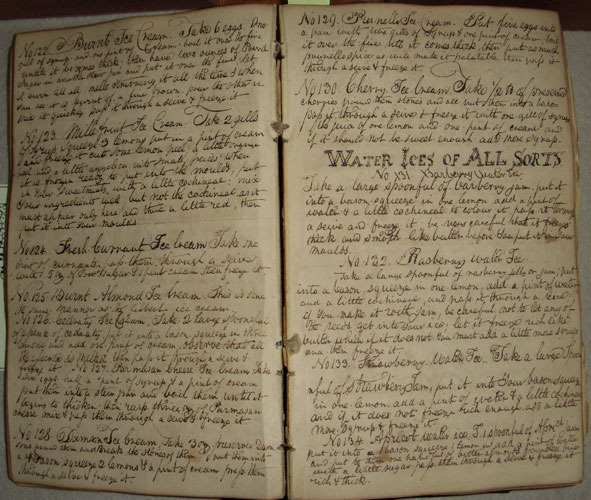 All conscientious apprentices would keep a journal of all recipes seen and done, as they went about learning their trade. As can be seen in this detailed manuscript, in this respect Nutt was no exception, giving one a sense of a very diligent craftsman. One aspect of the manuscript that it is quite startling is how little editing happened between the manuscript and the published first edition of 'The Complete Confectioner'. 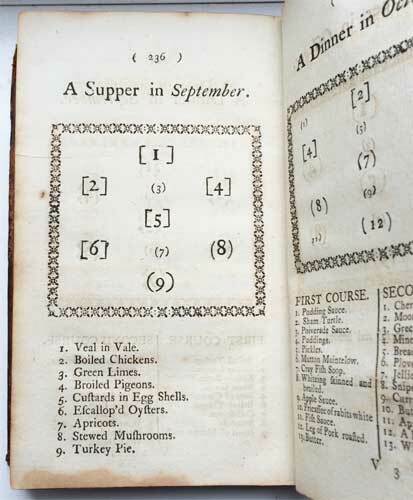 Compared to today's multi-faceted approach and effort needed to get a successful cookery book onto the market, the manuscript and the subsequent book, surprise and amaze by their simplicity. 8vo 195x120mm. 1fep. Half title. 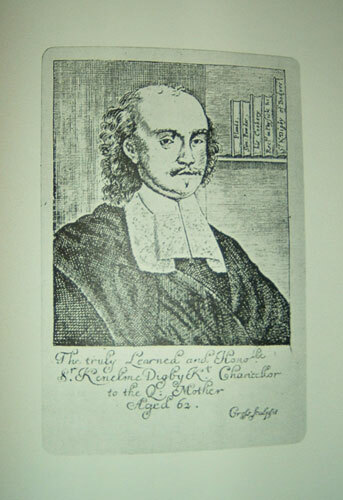 Frontispiece with signature 'Frederic Nutt Esq.' Engraved by Woodman from a Drawing by Satchell. Title Page. (1)vi-viii Advertisements. (1)x-xxiv Contents. (1)2-268. (1)270-276 Index. 1fep. Original cardboard boards with advertisements on both sides. Lightly age browned but still very clearly legible. Rebacked with 1/4 dark brown modern calf with raised bands with fine gilt tooling. Two labels, one red and one black with gilt lettering. Internally very clean with original untrimmed edges. A very good copy. - The original advertisements on the front cover gives all the information for this book. 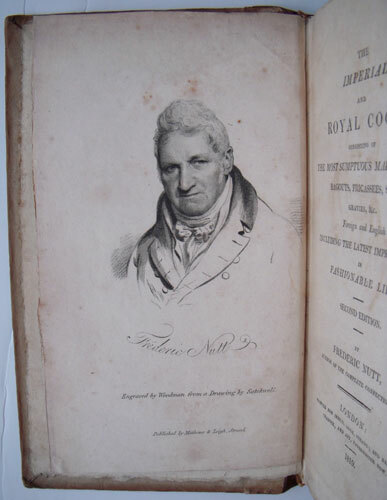 Two interesting points; It states this is the second edition but the date on the cover is 1820, while on the title page it states 1819. 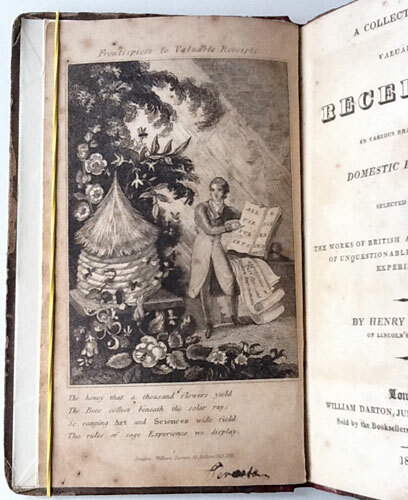 The back cover is a full advert for Nutt's other famous book 'The Complete Confectioner' also dated 1820. 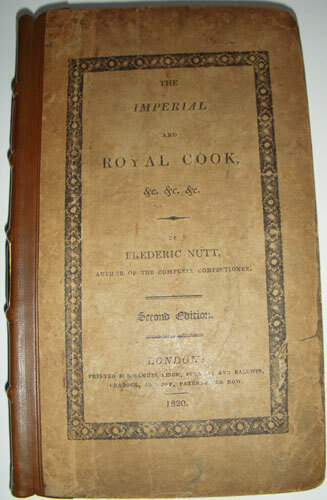 The first edition for this book is 1809 and the first edition of 'The Complete Confectioner' is 1789. 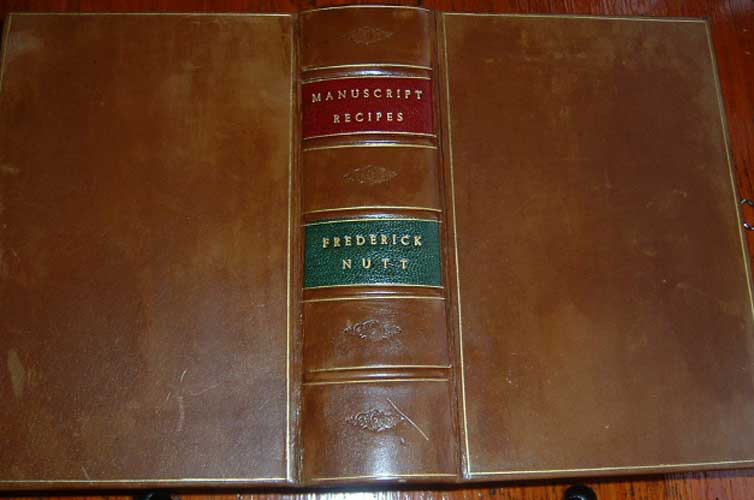 Also of interest, Nutt has his first name on the front cover spelt Frederic, and on the back as Frederick. Bitting has this second of 1819, Oxford the first of 1809, Cagle the first also, and the BL one of each. 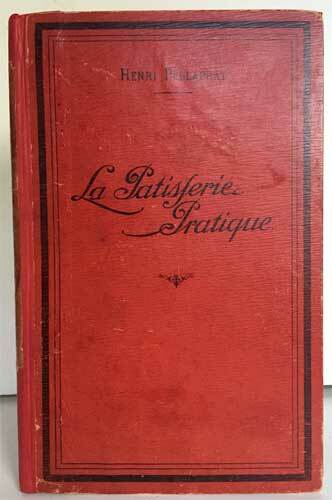 A very scarce book especially untrimmed and with the original boards. 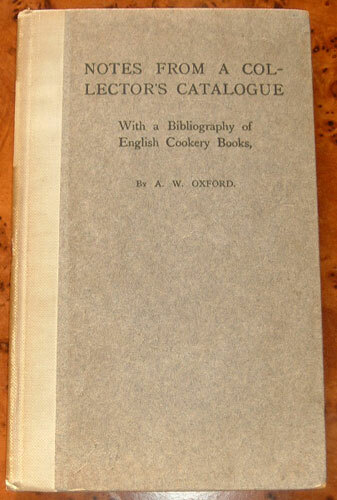 With a Bibliography of English Cookery Books, By A. W. Oxford. London: Messrs. JOHN and EDWARD BUMPUS. Limited, 350, Oxford Street. 1909. FIRST EDITION 1909. On the first blank, a tipped in one page letter written and signed by Oxford. Title page. 1p Contents. (1)2-116. 1p with printers info. 2 feps. With original very clean grey cardboard boards with black ink title on the front. A cream cloth spine lightly browned. Half the original label missing. Internally a very clean, tight binding and untrimmed. Overall a very good copy in the original state. A very scarce item especially in this condition and with the signed letter. - Dr. Arnold Whitaker Oxford was born at Keynsham in 1854, and graduated from Oxford University. He died on May. 30 1947 at the age of 93 after enjoying a long medical career. At one time he was resident at Charing Cross Hospital. He wrote quite a few books. Some on Freemasons but the better known on cookery. Oxford was an inveterate and odd collector. He started with playing cards and their accessories, and among many other collecting fevers he amassed collections of old silver, stay busks, knitting needle sheaths, domestic implements, seals and writing materials. 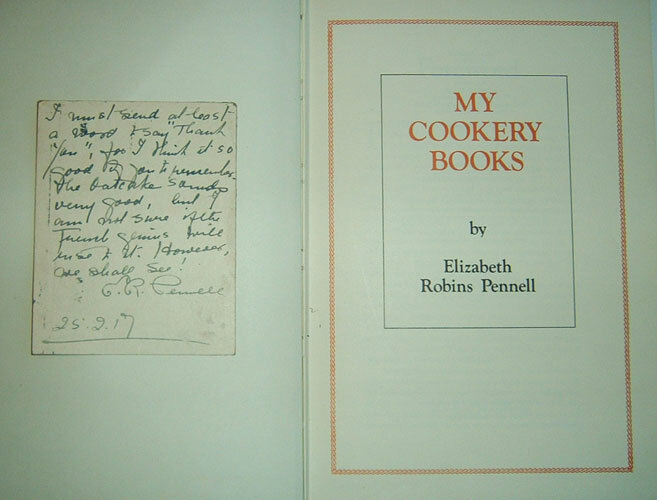 diaries and engravings, religious objects, Egyptian antiquities, calendars, clocks and finally the items that fired him up the most: cookery books. 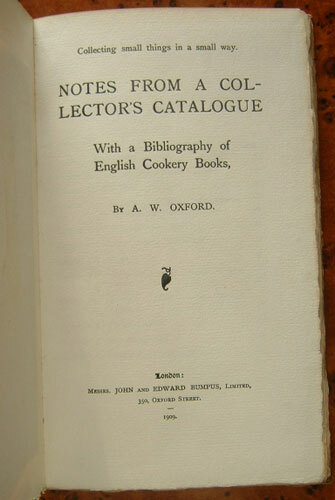 He wrote two cookery bibliographies that are much used by collectors. 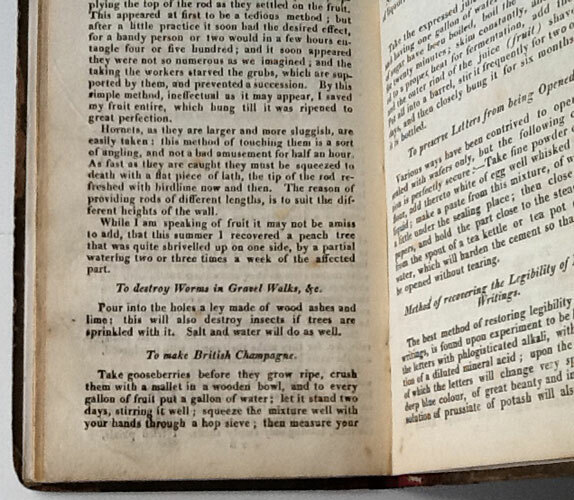 This one -- 'Notes from a Collectors Catalogue' and the more comprehensive ' English Cookery Books to the Year 1850' On page 40 of the 'Notes from a Collectors Catalogue' there is a very good list of English books on Cookery and Carving up to the year 1699. 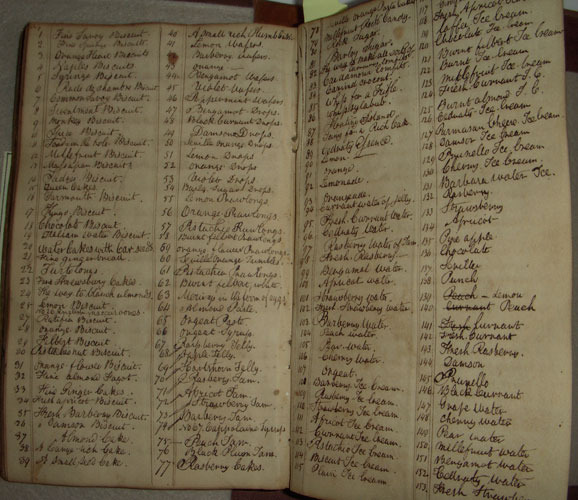 Listing not only Oxford's collection, but also the holdings of the Bodleian, the British Museum, and the Cambridge and Patent Office libraries. At the back is also an STC of Cookery Books from 1700. 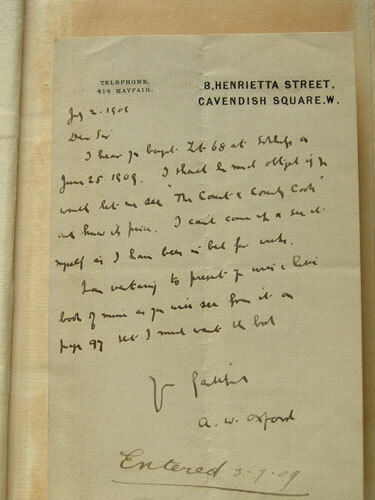 The handwritten letter by Oxford is in his small 'hard to read' style states (as far as I can make out) -- 'July 2.19.08 Dear Sir I hear you bought lot 68 at Sothebys on June 25. 1908. I should be most obliged if you would let me see " The Count & County Cork" at home if ------. I cant come up and see it myself as I have been in bed for weeks. I am writing to present you with a book of mine as you will see from it on page 97 ----- I must want the ----. Y faithfully a.w. oxford.' (then written & underlined in another hand) --'Entered 3.7.09'. FIRST EDITION 2010. 4to. 277x185mm. 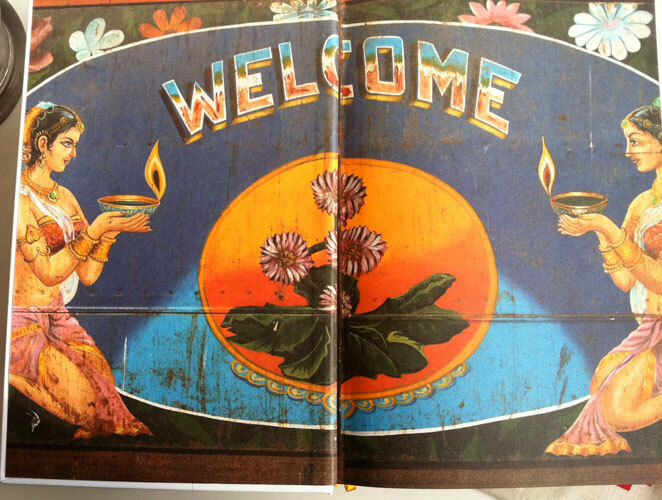 Pastedown and endpaper with a lovely 'welcome' illustration (see image #2 below). Half-title with an illustration of the sun and rays and signed in orange ink -- "For. Robert Hendry Happy Cooking with warm regards Pushpesh Pant. Title page is a copy of the colourfully illustrated front cover. 2p Contents. (3)9-27 Introduction starting with map of india and portrait of the author, P.Pant. 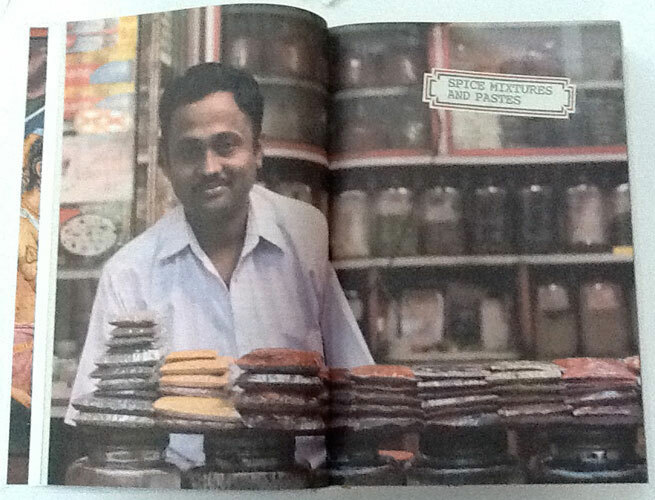 2p Photograph of spice merchant. (1)31-793. 2 p Illustration for Directory 796-797. 2 p Illustration for Index 800-815. 1p Author's acknowledgements. Illustrated end-paper and paste-down. Fully bound in white hard cardboard covers with an illustration of the sun and rays and bordered in typical Indian colours. The text block is richly illustrated with many two-page colour illustrations in the famous style of hand-painted Indian film posters. 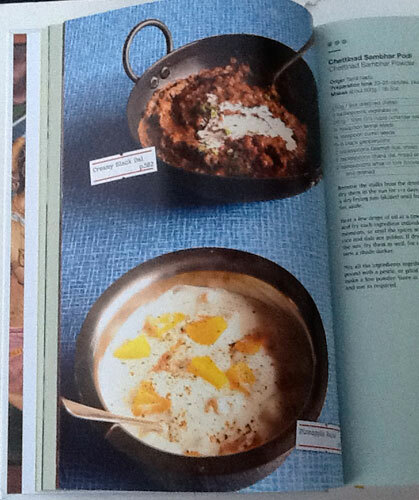 With numerous full page photographs of authentic Indian dishes. All the numerous chapters in multi-coloured paper. The book comes in a typical cream coloured Indian cloth bag with the same illustration as the book cover. A nice unusual touch. Pristine condition, as new. - The author, Pushpesh Pant was born in 1946 in Nainital, northern India, and is a professor at the Jawaharlal Nehru University in New Delhi. A regular recipe columnist and author of many cookbooks, he has spent two decades collecting authentic family recipes from all over the country. He is extremely knowledgeable about the huge diversity of regional Indian cuisines and very passionate when communicating his knowledge. His very popular TV series: Jiggs Kalra's Daawat, conveys the historical origins and diversity of Indian regional cuisines. 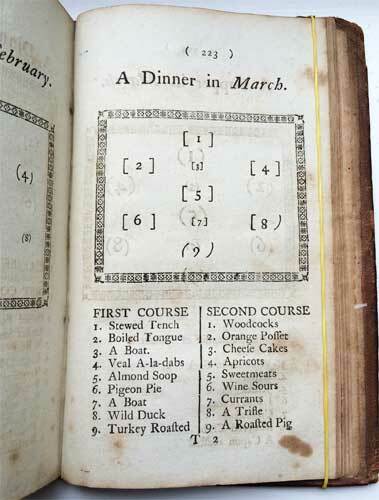 This fine book fills in some of the recipes missing from the series. Very scarce with the author's signature. FIRST EDITION 2010. 4to. 277x185mm. Pastedown and endpaper with a lovely 'welcome' illustration (see image #2 below). Half-title with an illustration of the sun and rays. Title page is a copy of the colourfully illustrated front cover. 2p Contents. (3)9-27 Introduction starting with map of india and portrait of the author, P.Pant. 2p Photograph of spice merchant. (1)31-793. 2 p Illustration for Directory 796-797. 2 p Illustration for Index 800-815. 1p Author's acknowledgements. Illustrated end-paper and paste-down. Fully bound in white hard cardboard covers with an illustration of the sun and rays and bordered in typical Indian colours. The text block is richly illustrated with many two-page colour illustrations in the famous style of hand-painted Indian film posters. 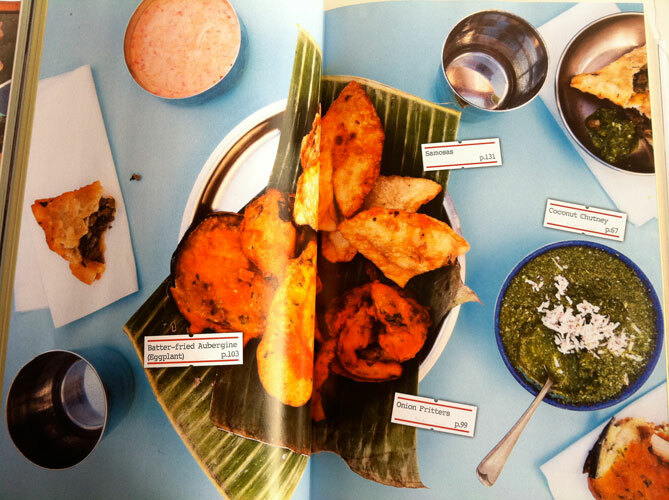 With numerous full page photographs of authentic Indian dishes. All the numerous chapters in multi-coloured paper. 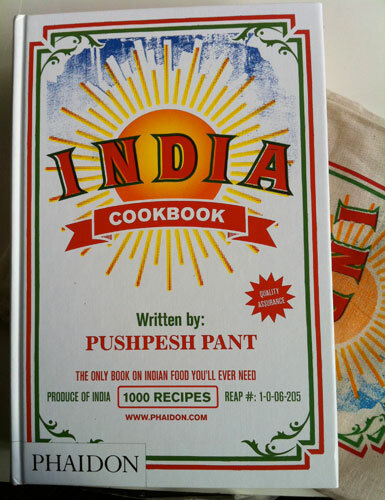 The book comes in a typical cream coloured Indian cloth bag with the same illustration as the book cover. A nice unusual touch. Pristine condition, as new. 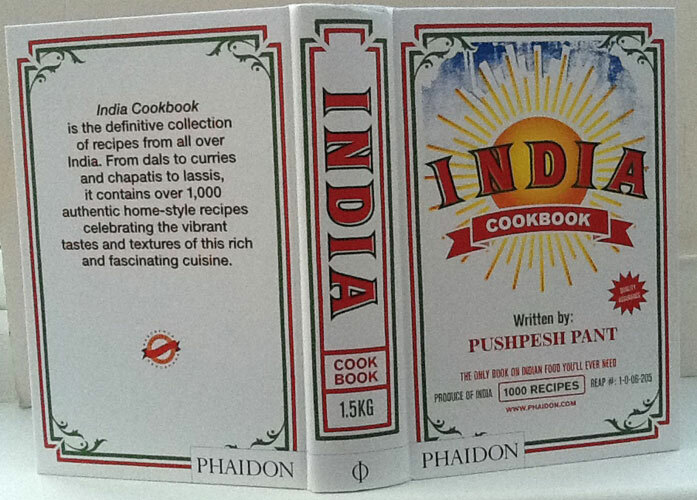 - This beautiful book oozes India with a very Indian feel and style to it (you can almost smell the simmering spices!). It has been very well thought out with many innovative ideas to the layout. 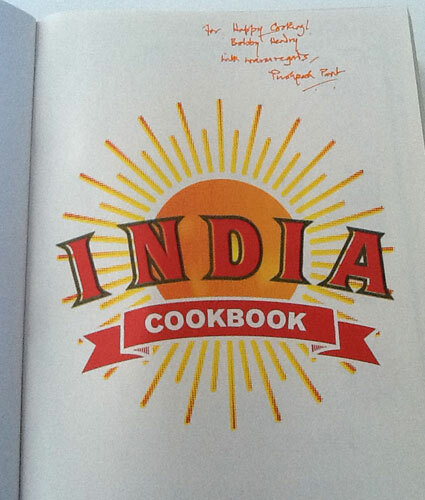 As someone who has been working and cooking in India for over 40 years, this book strikes me as one of the best so far. The author, Pushpesh Pant (a tongue twister for any westerner) was born in 1946 in Nainital, northern India, and is a professor at the Jawaharlal Nehru University in New Delhi. A regular recipe columnist, author of many cookbooks and host of a very good TV series, he has spent two decades collecting authentic family recipes from all over the country. They have been carefully edited, tested and collated to produce a remarkable collection documenting the rich diversity of Indian cuisine. When one first comes across this book, the unusual way it is presented in the cloth bag (see image #1 below) grabs one's attention immediately and that focus doesn't waver as one peruses the whole volume. This book may well gain and sustain a well deserved, long lasting reputation. IN VARIOUS BRANCHES OF DOMESTIC ECONOMY, SELECTED FROM THE WORKS OF BRITISH AND FOREIGN WRITERS OF UNQUESTIONABLE AUTHORITY AND EXPERIENCE. BY HENRY PARNELL, OF LINCOLN’S INN FIELDS. London: WILLIAM DARTON, JUN. 58, HOLBORN HILL. Sold by the Booksellers in Town and Country. 1819. 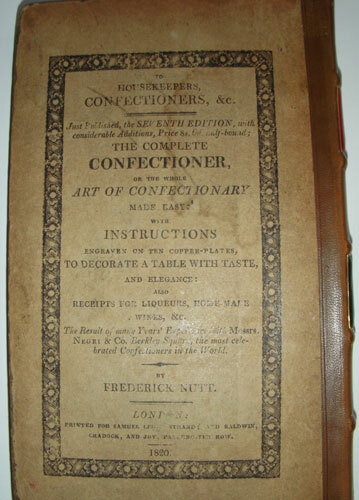 FIRST and possible SOLE EDITION. 174mm x 105mm. 2feps. Frontispiece dated 1822. (1)4-72. 2feps. Original discoloured dark grey covers with rubbed corners. Quarter red cloth. Spine with black label lengthways with gilt lettering. 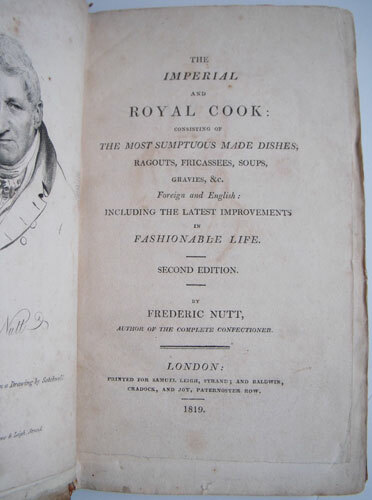 Pages slightly age browned throughout with the frontis and title page a little more. Overall fine. - There are no copies in the bibliographies nor auction catalogues. Nothing can be found out about Henry Parnell. There is no further information in the book besides that on the title page. 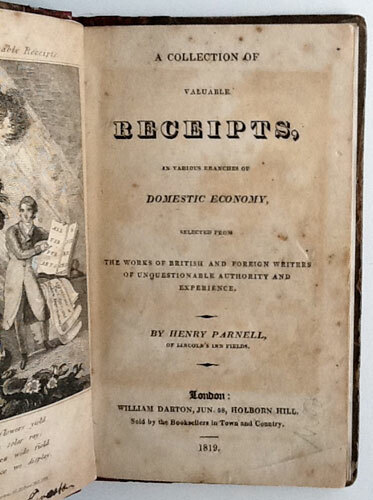 The frontis dated 1822 added to the title page dated 1819 is a further curiosity that defies an explanation. 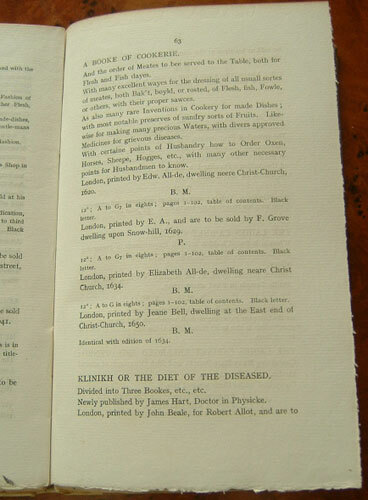 It is a curious book with general and diverse receipts, such as 'To detect Dampness in a Bed', or 'Experienced Method of Catching Larks' also 'Method of recovering persons Apparently Drowned'. Incredibly the recipe for “British Champagne” comes after advice on 'How to destroy worms in a gravel path'. COPAC shows only two copies at Oxford, both dated 1819 and one other in the BL dated 1819 with the frontis also dated 1822. A rare item even without proof of other possible editions. Commonly called, The Good-huswives Closet of provision, for the health of her Household. Gathered out of sundry experiments, lately practised by men of great knowledge: And now newly inlarged with divers necessary Physick helps, and knowledge of the names and disposition of diseases, that most commonly happen to Men and Women. Not imeprtinant for every good Huswife to us ein her House, amongst her own Family. [Printers woodcut device] LONDON, Printed by Jane Bell, and to be sold at the East-end of Christ-Church, 1653. Quarto, A-I in 4's. 1fep. Title page. A2 - FINIS. [Total pp 63] 3p The Table. 1fep. Original full dark brown calf. Blind tooled border line to boards. Spine with gilt lines and lettering re-laid. 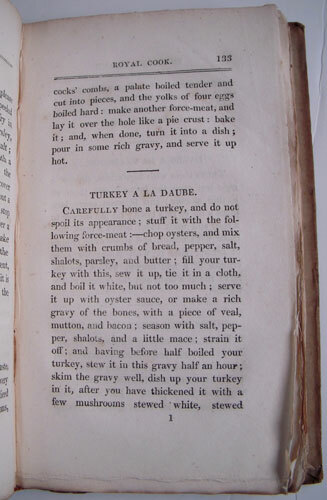 Pages are age browned with browning to edges. Text in black letter. Top of one leaf restored without loss. A good copy of an extremely rare book. - John Partridge was an Elizabethan author of historical poem-romance. 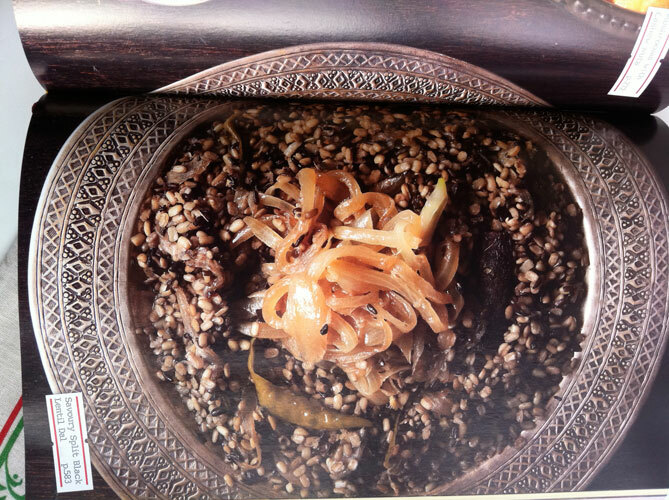 The earthy, mundane cookbook was an unusual transgression from the norm. His book, the ‘Treasury of Hidden Secrets’ was a popular 16th and early 17th century English handbook of cookery, herbals, and medicine. First published around 1573, it was printed in London by Richard Jones, and gives John Partridge as the author. It was frequently reprinted for over 75 years; the present volume is that of the 1653 edition printed by Jane Bell. 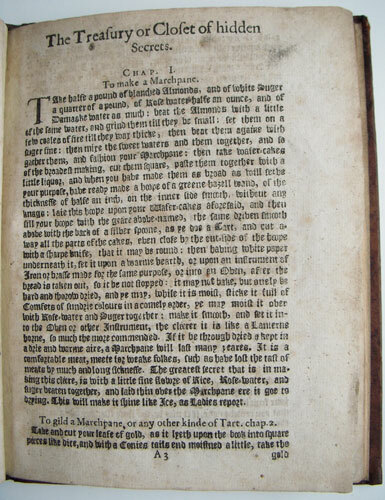 The earliest extant copy of the book is the 1573 edition. Its title was ‘The Treasurie of Commodious Conceits & Hidden Secrets’, reprinted in 1584, again by Jones, the title-page advertised it as 'now the fourth time corrected, and inlarged,' The Elizabethan printer might have been exclusively a printer, or both bookseller and printer; but booksellers were not necessarily printers. Both printers and booksellers in London were tightly controlled, licensed, censored, and fined for violations. Some copies note that Jones’s 1584 printing was 'at Eliot’s Court Press for Henry Car,' suggesting Car as a bookseller who helped to finance the printing. When the book was reprinted in 1591, Richard Jones is now located specifically ‘at the Rose and Crowne neere Holborne bridge.’ The Bodleian’s bibliographic record suggests J. Charlewood as the 1591 printer. Jones is again given as printer for the 1596 edition. 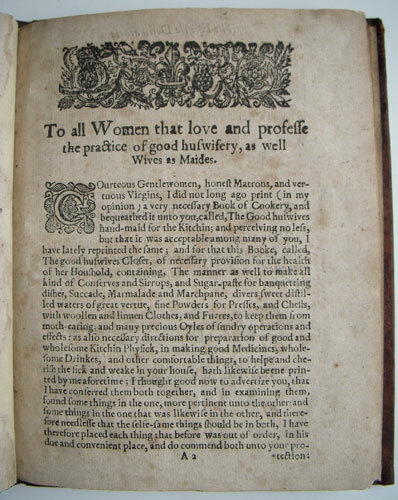 The book was again reprinted in 1608. This seems to be the latest date that the name John Partridge occurs in the text; subsequent editions are published anonymously. The next reprint was in 1627, from a new bookseller and printer; the book was ‘Printed [by Eliot’s Court Press] for E.B[rewster] and R.B[yrd], and are to be sold at the ‘signe of the Bible in Cheapside.’ By 1627 the phrase, ‘Commodious Conceits’ had dropped out of the title and the title page identifies it as ‘The Treasurie of Hidden Secrets.’ In 1633 it was first printed by a woman ‘Elizabeth All-de dwelling neere Christs-church.’ Elizabeth was the widow of Edward All-de, a typical London printer whose father, John, was also a printer and whose work and style is well known. In 1637 ‘Treasury’ was ‘printed by Richard Oulton, dwelling neere Christs-church.’ As McKerrow (genealogy resources) suggest that Allde died in 1628, Richard Oulton may have taken over the press from his widow by 1637. Finally, ‘Treasury’ was last reprinted in 1653 'by Jane Bell and to be sold at the East end of Christ-church.' Originals of the 1573 printing are held by the Folger Shakespeare Library and the Henry E. Huntington Library. 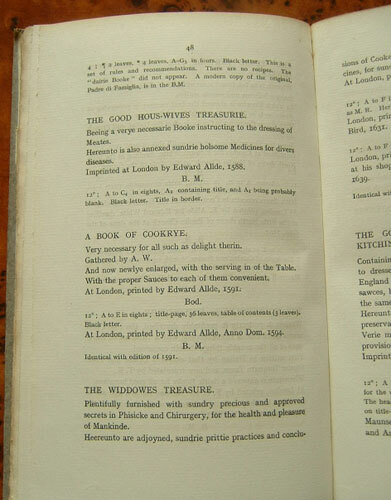 The only other work attributed to John Partridge is the cookery-medicine book called ‘The Widowes Treasure'. Partridge borrowed from a friend a copy of a household book written for the private use of ‘a gentlewoman in the country’, and decided it was his duty to publish it in 1585 under the title, 'The Widowes Treasure'. Copies of both Partridge's books are extremely rare, with none at auction since 1926. 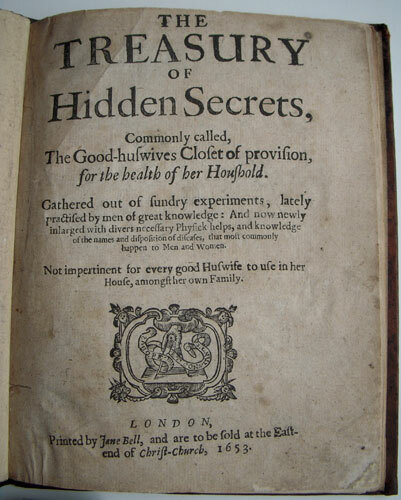 The BL only locates two other copies of the 1653 edition of ‘Treasury of Hidden Secrets’, one in the UK, and one in the US. N/d. 12mo. 2 feps. Title page. (1)iv. Preface. 5-218. 214-242 Illustrated pages of Dinners and Suppers for a whole year. 9 pages of Index. 2 feps. The whole text block lightly age browned throughout. Original dark brown leather boards with slightly scuffed corners. 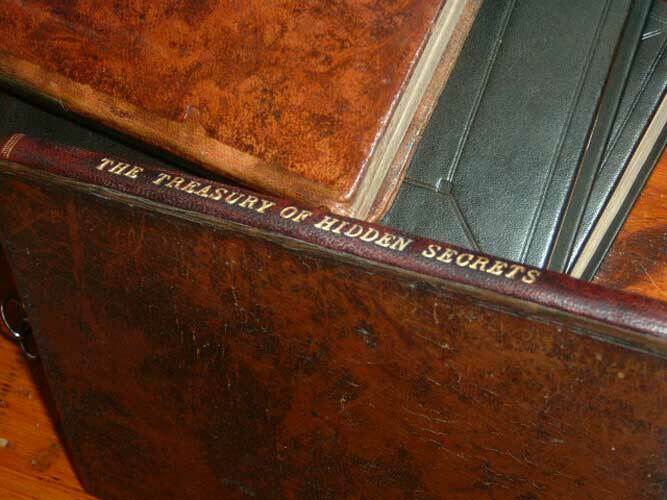 Sympathetically rebound spine in brown leather with raised bands and two red leather labels, with gilt text and lines. Overall, a nice copy of a very scarce title originating in and from Yorkshire. - Not much can be found out about Ann Peckham, except from her book itself. 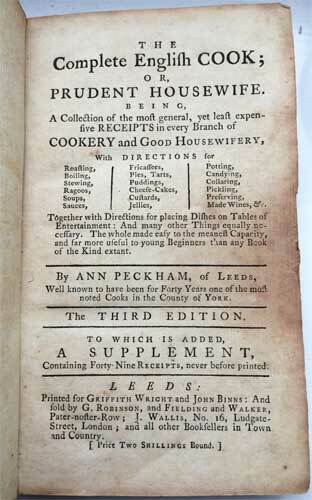 She writes in her Preface that the recipes are the result of forty years practice in the best families in and about Leeds. She goes further, telling us amusingly, with a touch of Yorkshire plainness and prudence, that the recipes are not fluffed out with a nauseous hodge-podge of French kickshaws; and yet the real delicacies of the most sumptuous entertainments are by no means neglected. 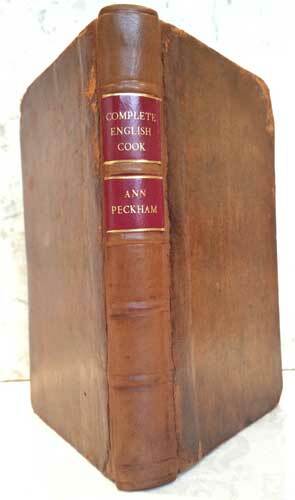 Oxford adds in the notes to his copy of Peckham’s Complete Cook, that the title page has been taken boldly from ‘The Complete English Cook’ by Cathrine Brooks. A disconcerting snippet that can't be reconciled in any way without further info or research. One wonders naturally, how much of Brooks’ recipes are also in the text. The first edition appeared in 1767, with a second of 1771. This undated third; circa 1775, is the first with a supplement. MacLean records two 4th editions of 1790. Cagle, page 662; Oxford, page 95; Bitting, page 360, citing a 3rd edition; Vicaire, page 669, also a 3rd edition. 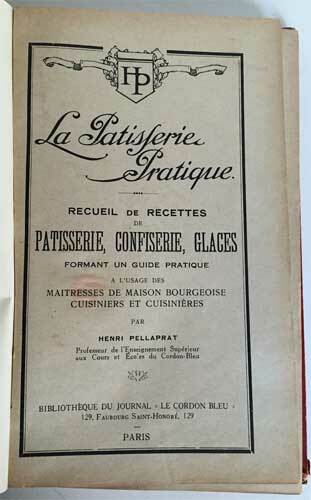 RECUEIL DE RECETTES DE PATISSERIE, CONFISERIE, GLACES FORMANT UN GUIDE PRATIQUE A L'USAGE DES MAITRESSES DE MAISON BOURGEOISE CUISINIERS ET CUISINIERES PAR HENDRI PELLAPRAT Professeur de l'Enseignement Superieur aux Cours et du Cordon-Blue BIBLIOTHEQUE DU JOURNAL * LE CORDON BLUE 129, Fabourg Saint-Honore. 129 PARIS. FIRST EDITION. n/d circa 1910. 228 x 140 mm. 1fep. 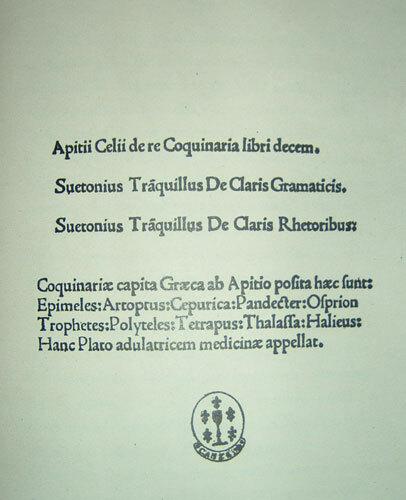 Title page with a border and a banner at the top enclosing Pellaprat’s initials. 1p Preface. 1p Avant Propos. (1)6 – 230. (1)232 – 237 Table des Matieres. 1fep. Very lightly age browned through out but overall very good. Red cover with the original back and front covers and spine sympathetically re-laid, with the original black text tooling. 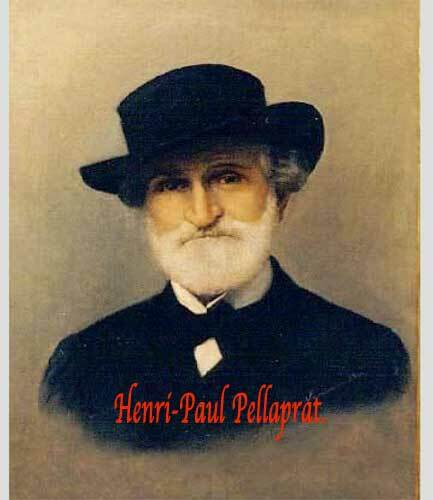 - Henri-Paul Pellaprat born Saint-Maur-des-Fossés 1869, died 1954 was a French chef, and founder with the journalist Marthe Distel, of Le Cordon Bleu school in Paris. 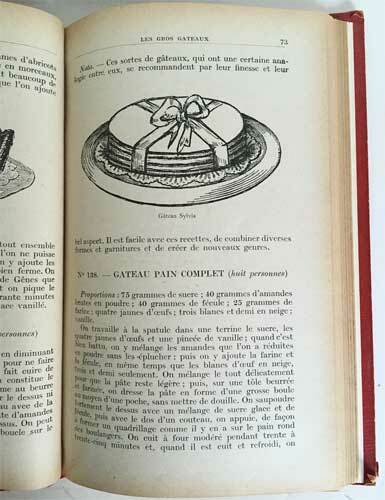 He was the author of ‘La cuisine familiale et pratique’ and other classic French cookery texts. He worked from the age of twelve as a pastry boy then cook at many of the most famous restaurants of the La Belle Époque period in Paris, such as the Maison Dorée. As time passed, he realized that his real calling was teaching and he accepted a professorship at Le Cordon Bleu. He taught at the school for forty years. Those who attended the courses in the early years of this century had the privilege of learning French cuisine from one of the recognised great master chefs of the day. Two of his students included Maurice Edmond Sailland, later known as Curnonsky, and Raymond Oliver. During this time he wrote his master-work ‘L'Art Cullinaire Modern’e. 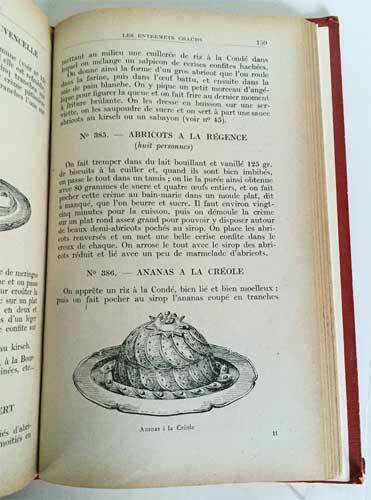 It was translated into five languages, and appeared in English as ‘The Great Book of French Cookery’. 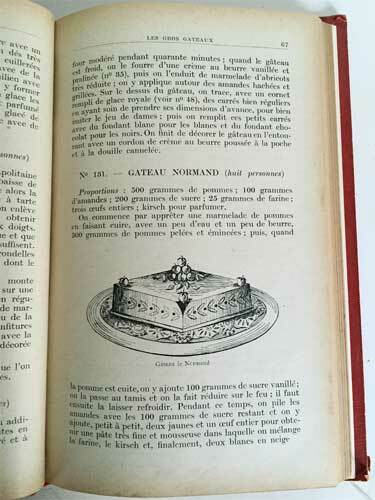 It was hailed as the most comprehensive, authoritative, and up-to-date book on French cooking and gastronomy ever written. As an author and teacher, Pellaprat did much to consolidate Le Cordon Bleu's position as the world's leading cookery school, and the tributes paid to his books echo the importance given to the school, which was setting standards and teaching classic French cuisine to an ever-growing number of graduates. Rosemary Hume, who later went on to found "Ecole du Petit Cordon Bleu" in London trained at Le Cordon Bleu in Paris under Henri-Paul in the 1920s. 174 x 248mm. Front and back paste-downs and endpapers, in bottle green paper. 1fep with a tipped in note hand-written by Pennell on the verso. Title page. 2p Forward by Mike McKirdy of ‘CooksBooks’. 15p Index of Authors and Titles. Facsimile of original Title page. (1)vi-x Introduction. (1)xii Illustrations. Half Title. 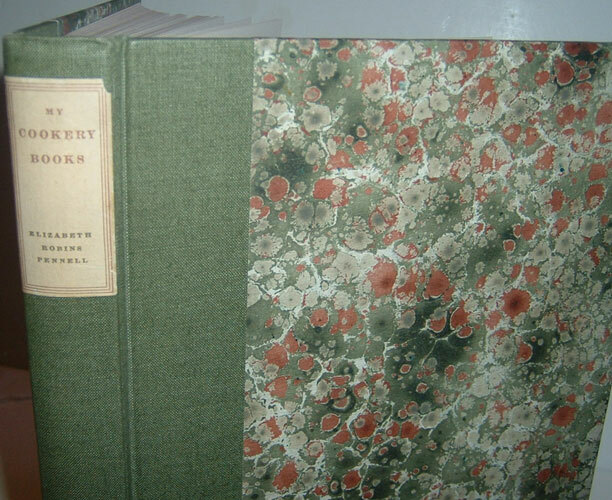 My Cookery Books 2-171. . Original quarter bound green cloth with marbled boards. Paper printed label on spine. 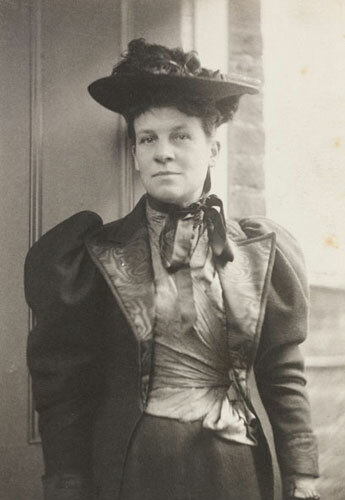 The tipped in hand-written postcard by Pennell with her messy writing style reads – “I must send at least a good to say “Thank You” for I think it so good of you to remember the Oatcake sounds very good, but I am not sure if the ----- ------ will ---- to it. However, we shall see! E R Pennell 25.2.17. A scarce item in excellent condition.